We have neglected doing income reports for a while now. Don’t worry, we had a great excuse for messing up on this one. 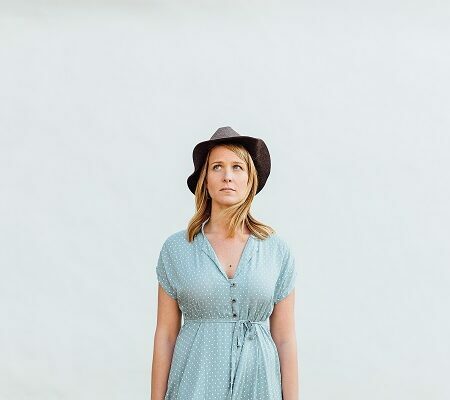 We were away having a baby and the last few months were extremely difficult and hectic. 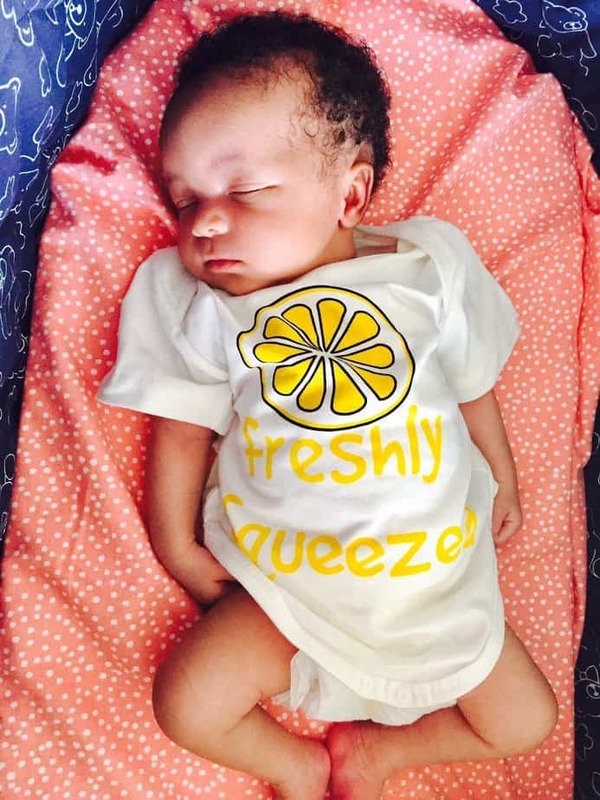 Now that she is here, smiling, sleeping, crying and feeding all the time, we are in full swing with our blog. We are happy to announce the return of blog income reports. 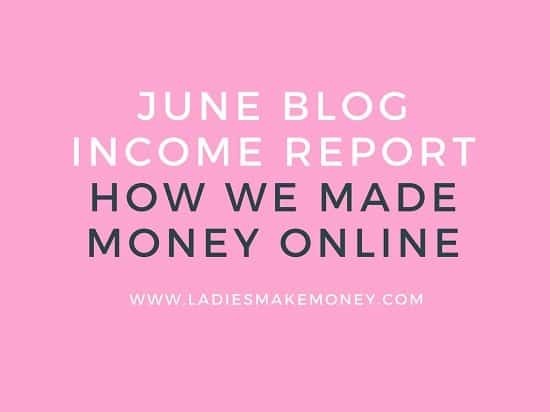 So how did we manage with our June blog income report results? Before we get started, we would love for you to join our growing Facebook group right here! You can also join our Pinterest group by scrolling to the bottom of this page! If you are looking for guest blogging opportunities or if you need a personal affordable coach to take you from A-Z, we can help you. Get the details right here! Our overall monthly income goal is to make approximately $5000 per month from our blog. We are slowly working towards that goal! If you want to know how we plan to make $5000 per month, read this blog. 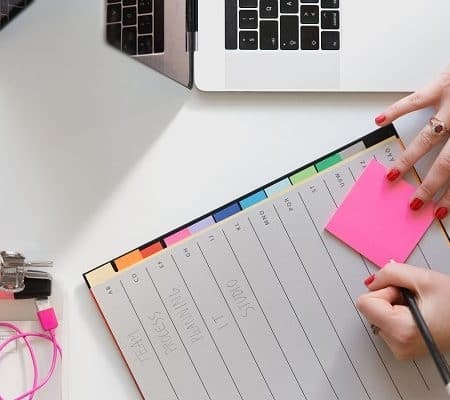 If you are looking for ways to make money from your blog, we wrote this amazing blog on the 7 things you can do to boost your blog income and 25 Ways to Make Money Online and grow your monthly income. PS: Here is a picture of my baby girl. She is now 2 months old and dearly loved.!! As always, we want to let our readers and followers know that blogging is not as easy as it looks. A lot of effort, planning, and learning goes into this. We are treating this blog as a business blog and this means we work full-time on it. Lot’s of planning, promoting, learning and mistakes make up for the blogging world. We are determined to make it work and help you along the way. We typically set goals that we need to achieve monthly. This makes it easy to work towards something and it keeps us accountable. But, since I was away, I did a lot of catching up and didn’t really have a goal in mind for the month of June. Don’t get me wrong, I still blogged, promoted and networked on social media. Plus my traffic didn’t really drop thanks to this Pinterest strategy. Email subscribers – I increased my email list to 1300 – Very happy with this! Blog Pageviews- I am experimenting on this since investing in a new strategy- Pinterest strategy. I will have a better idea at the end of July! So far, so AMAZING! Facebook Group – 1999 members – Last checking was 509 amazing members! Don’t forget to join us! I am really happy with my Pinterest followers. 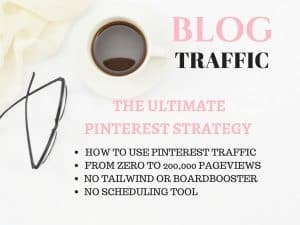 According to Carly who went from zero to 200 K pageviews per month, it’s not about the followers, but the pinning strategies you use which makes up for a great Pinterest plan. This is the best investment I have made to date. I still want to have about 10, 000 followers by the end of this year! My Facebook group is another big one! I am hoping to also get about 10,000 amazing women who are focusing on growing and helping each other. I did get rid of a lot of people that were purely self promoting! This means my account will take a little longer to grow as I am really pick about those that join. If you are not yet part of our- Facebook Group, don’t forget to join us. It’s a great community to share and grow your biz! Our goal was to get featured on two blogs per month. Because we are playing catch up with our blog, we will restart this next month. We want to be able to build authority with this area. We did accept a few guest blogs this month! We are always accepting guest bloggers and if you are interested, see more details here! Boardboaster – $20.00 (I might have to upgrade soon). Tailwind – $0.00 (Because of my referral, I keep getting a credit! Lead Pages– $25.00 (Best tool for growing your email list). 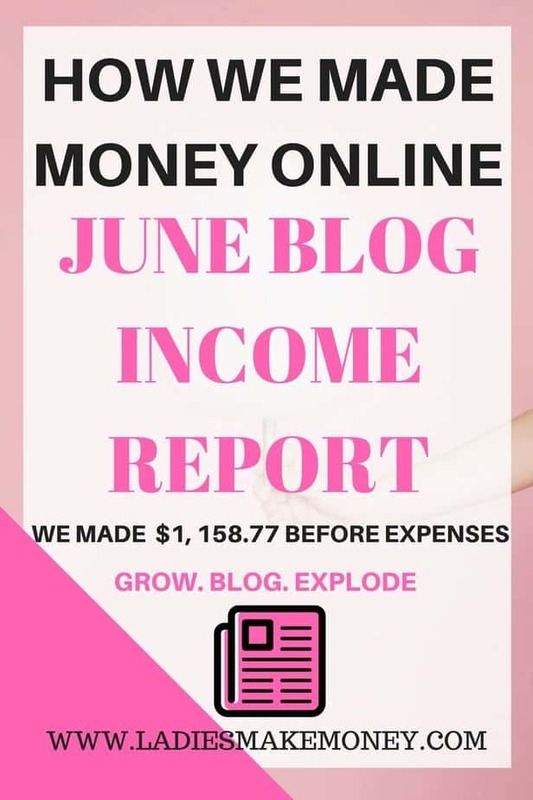 I am really impressed with our June Blog Income report. 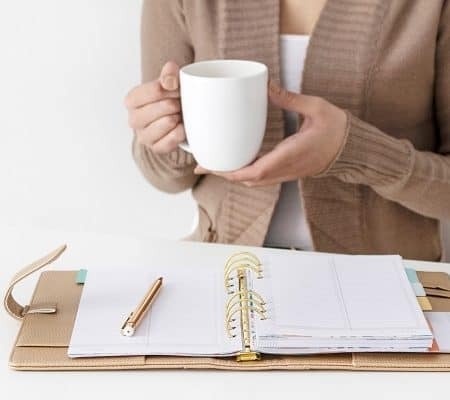 A lot of this is thanks to Affiliate Marketing and I am so glad I purchased Michelle’s course- Making Sense of Affiliate Marketing and How to make your first Affiliate Sale in 24 hours with House of Brazen! I truly believe in investing in myself to get good results. Otherwise I would still be struggling! I was busy with a new born baby, (first baby) and I did not manage to always email my list. I am trying to be a bit more consistent with this one. Maybe I will try to schedule them in advance just in case life takes over. I wanted to batch my blogs before going away on our mini maternity leave, but this didn’t work out. I did still manage to push blogs out (Proud Mama). I wasn’t able to connect with more bloggers in the industry because I was busy, but I still managed to make a few blogger friends that are supporting me. Definitely changing my Pinteresting strategy thanks to Carly! This involves manually pin your pins instead of relying on automation tools. It takes a lot of work but Carly helps you determine what pins to pin for the most traffic, what time to pin and how to pin. Her strategy is amazing and you can read all about it here! Creating my own products is an A+ for my business and I am getting great feedback and results from it. I will be working on a few more products down the line. Possibly read for September/October! Stay tuned. Growing my email list, allowed me to continue connecting with my tribe even when I was a little busy! And I came back to them easily. I use LeadPages to create beautiful landing pages such as this one! I am on the basic package. You can try it for FREE and start capturing and building your email list! 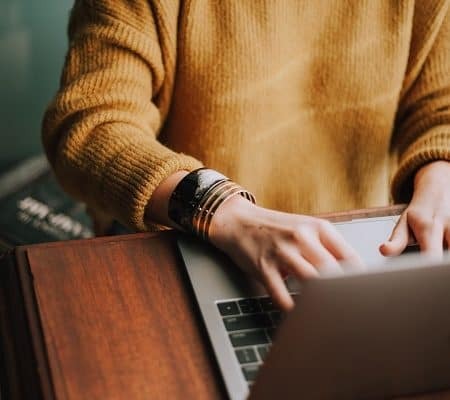 Accepting more guest blogging on my site as a way of connecting with other bloggers is amazing. 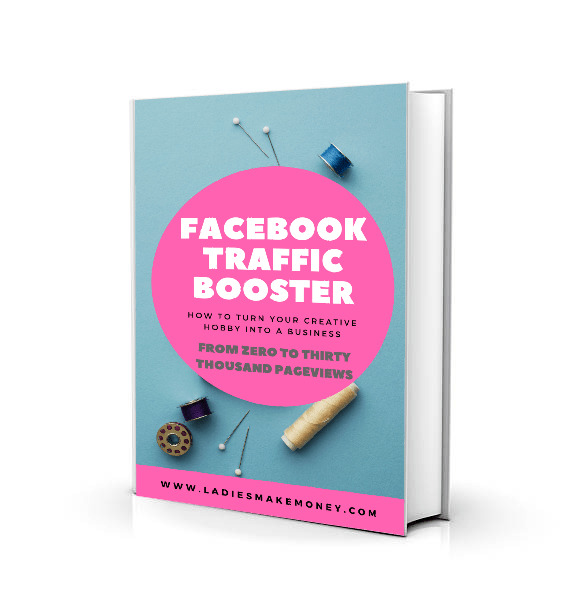 My traffic is already getting higher and higher each month because of this strategy. I have also decided to go through old posts to update them, change some images and add affiliate links. This strategy alone increased my blog traffic last month. I am doing one update a week and I am pleased with the results. Every update I do, I promote it using Carly’s Pinterest method and I am getting so much more better results. Affiliate marketing is definitely growing for me and I am so happy with the results I am getting. 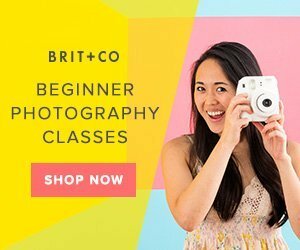 I am so thankful I took the course because at the beginning of last year, I tried out the affiliate thing with my other blog and I got zero sales. Now I am getting over $500 with it! I will continue to accept more guest blogging opportunities. I want my site to be the go to place for bloggers to get information and grow their businesses. The more people I can get on my site sharing, the better value I can give everyone. I will try to get 1 guest blogging opportunity for myself this month. I have a few people in mind of who I want to work with. Blog 2 times a week instead of 3 times a week – Monday and Wednesday – I will continue with this until I hit my blog traffic goal of 100K. Batch up all my blogs. spend Sunday and Tuesday writing out blogs. The goal is to have one month worth of blogs up and written out. Promote more on my Facebook group – Twice a week! In the next few months, I will make opportunities for other bloggers to be seen more on my Facebook group! Stay tuned. This will help you with your blog traffic. Increase my Facebook group to 2300 members, Pinterest to 4000, Twitter to 750, Instagram to 500, Facebook page to 800. Income goal to be increased to $1500 – If you want to learn how to make your first $1000 in 45-60 days sign up here! Use promo code: “SPECIAL17″. Get it for $10.00. Although I didn’t have the opportunity to network much, I am happy with my June Blog Income report. I suggest setting realistic goals for your blog in order to be successful! I can’t wait to see what the month of July has in store for my small blog! What goals do you have set for your business? Tell us in the comments below. MAKE YOUR NEXT $1000 FROM YOUR BLOG WITH OUR NEW E-BOOK. USE PROMO “SPECOAL17″ FOR LIMITED TIME AND GET IT FOR $10.00. BE WELL ON YOUR WAY TO MONETIZING YOUR BLOG TODAY! WANT A LIST OF RESOURCES THAT HELP ME GROW MY BLOG EVERY DAY? SEE IT RIGHT HERE: RESOURCES AND TOOLS FOR BLOGGERS! I find these so inspiring! I might start doing this, even though I think at this point I’d either break even, or maybe even be negative- since I’m investing in myself with courses and products and third party services. But hey, it’s not all money bags when you first start out, right?? Absolutely. I am also about investing!